If you read my Millennial Money Rules blog post recently, I outlined steps you can take to improve your financial standing in life. Now that you have the Millennial Money Rules, here are the tools I recommend to help you execute your plan. Don’t let poor credit stand in the way of achieving your dreams. Credit reports and credit scores don’t have to be a mystery – myFICO is here to help you learn and take control. For more than 25 years, FICO® Scores have been the industry standard in helping millions of people buy homes and cars, rent an apartment, get a credit card, and receive better interest rates. With over 90% of lending institutions using FICO® Scores, myFICO.com is your one-stop credit education solution for answering questions and understanding your FICO® Scores and credit reports. Your FICO scores can affect your loan interest rates, terms, approvals, and more. Learn more about credit and how you can improve yours here. Who said investing has to be complicated? M1’s sleek, intuitive interface makes managing your investments easier than ever. Plus, they don’t charge commissions or management fees, so your money can go even further for your future. Spend more time doing what you love and less time managing your investments. M1 blends key investing principles with powerful digital technology to simplify the investing process, so you can build wealth effortlessly. Stop wasting time placing trades. 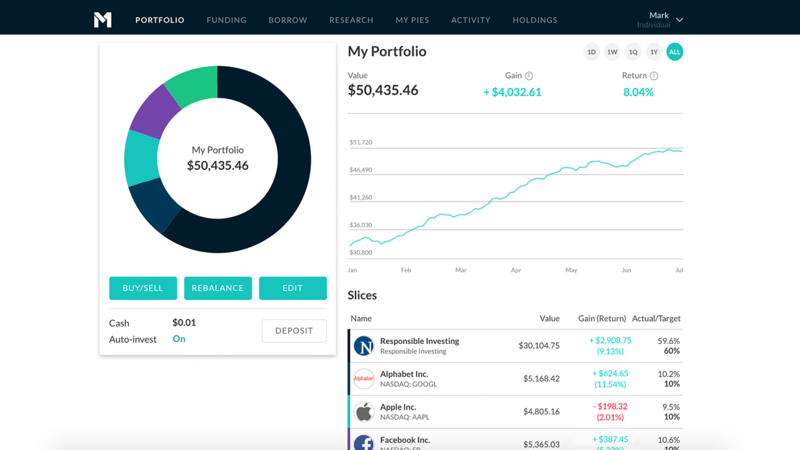 With M1, just build a portfolio of the investments you want, and they’ll automatically put your money to work. M1’s intelligent automation allocates money from every deposit to maintain your target asset allocation and ensure your portfolio stays on track. The other cool thing about M1 Finance is that you can buy fractional shares so you’re fully invested — down to the penny. Diversify your investments by investing in personal loans (credit risk based on FICO scores) and earn interest by being the bank. Prosper was America’s first peer-to-peer lending marketplace and has had $14 billion worth of loans funded (and counting) since 2006. See why others are choosing Prosper as another investment vehicle. If all of this is too overwhelming or confusing to keep straight, I recommend going to a certified financial planner. SmartAsset is an innovative company who uses a proprietary algorithm to match you with financial planners near you. The reasons for our rapid growth are simple and straightforward – Money Metals Exchange is secure, private and offers you the most gold and silver for your money. After balloting of more than 20,000 industry insiders and investors across the globe, the company was recently named precious metals “Dealer of the Year” by industry ratings group Bullion.Directory. That’s because Money Metals offers great value with high integrity, and it’s totally beginner friendly — focusing on educating its customers and answering their questions. Go and get that money!